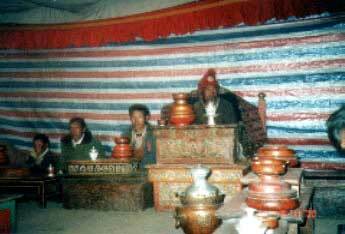 Limi is an unknown by the world because it is hidden between western Tibet and northwestern Nepal. Remoteness of the area has contributed to the villager's to have a unique culture and to live simple life-style without having any modern facilities and developments. Limi is the common name for three villages - Tel, Weltse and Zang - which are inhabited by roughly 1,700 Tibeto-Nepalese. The villages are situated in a beautiful valley. 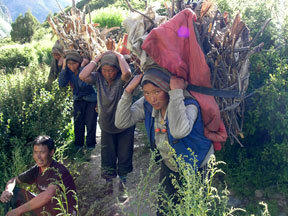 The people of Limi are ethnically Tibetans and they practice Drikung Kagyu Tradition of Tibetan Buddhism. The villagers have small farms with domestic animals, such as yaks, horses, goats and sheep. Their main crop is barley, which is mostly grown to make Tsampa (roast barley flour) and Ching (barley wine). They also grow beans to feed horses and some vegetables such as potatoes, a type of carrot, and some others. Yaks, horses and zos (crossed Yak and Cow) are their main transport as there is only a path, which is less than a meter wide, from Purang, in the western part of Tibet, and from Simikot, the district town of Humla. The female yaks (dri in Tibetan), sheep and goats produce meat, wool and milk. Because the villagers earn little from either agriculture or animal products, the men traditionally travel to a remote forest in the northern part of India (Himachal Pradesh) and they make wooden teacups, bowls, kitchen utensils and furniture to sell. 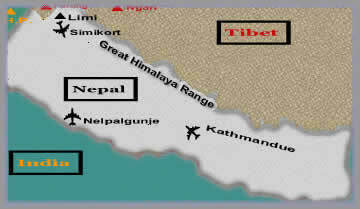 Over the last three decades they have found a way to develop some small scale trading between Tibet, India and Nepal. Most men therefore are at home for only about a month in each year. The women stay in the villages to take care of their family affairs, farmland and animals. Because, until recently, Limi had no public school for children, most people are illiterate, except the monks and a few men who can read and write only in Tibetan. There are three main paths in and out of the village. The most well-used is between Purang and Limi. It is 25 kms long and leads to the northwest of Limi. 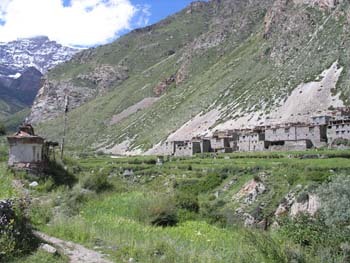 The second path, from Limi to Simikot (the main town of Humla District and the regional airstripe), is 52 kms, by the Nyilola Pass, to the south of Limi. The third path goes from Limi up to Manasarovar and Mt Kailash through the Lapchi La Pass, which lies in the north of Limi. It is about 35 kms long. Where the paths cross the hillside and rocky mountainside, they are only a meter wide. 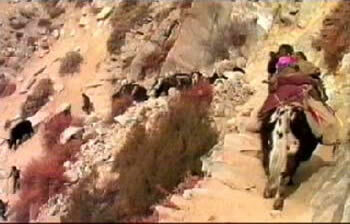 Transport in Limi, therefore, is by yak, horse, zo or on foot. The villagers use these paths to bring in hundreds of tons of food supplies and other goods every year.